Who doesn’t love and adore Dwayne Johnson, he is a very versatile and classic actor, and people drool over his awesome and enchanting style. He has been seen looking amazingly handsome in the movie Jumanji, and if you also loved his dressing style then you must grab our highly prepossessing and charming Dwayne Johnson Jumanji movie jacket, this jacket is made of high quality leather and it the inner lining is made out of viscose, the style of the collar is round and erect, and it has a front zipper closure, there are two pockets outside and two pockets inside, the sleeves are full with round cuffs. 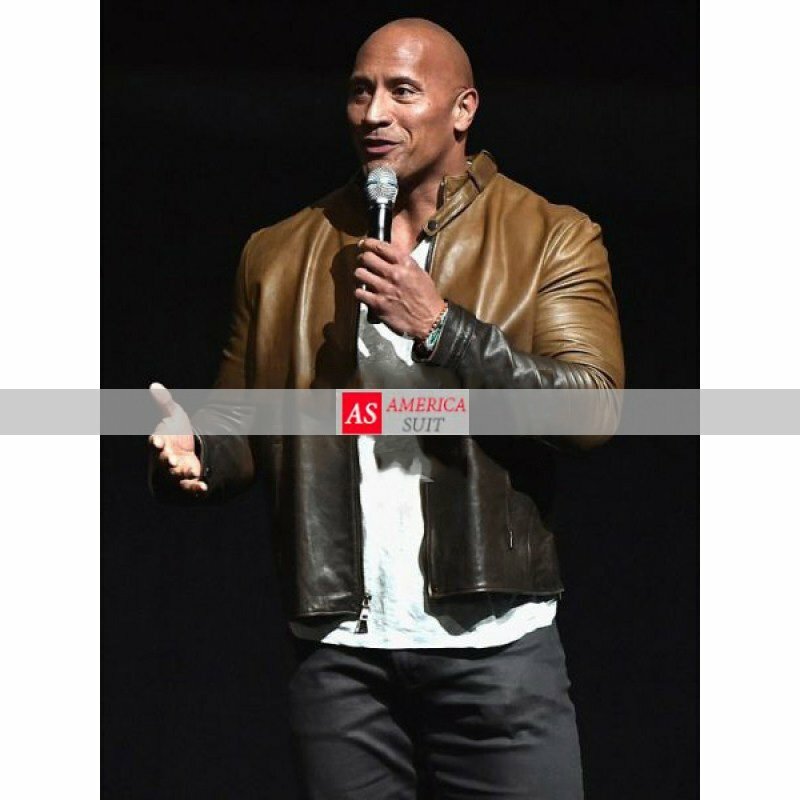 The amazing light wooden brown color gives this Dwayne Johnson Jumanji movie jacket extremely ravishing cut.